Heat transfer in 2D materials; nanoscale heat transfer; lithium metal battery coating. 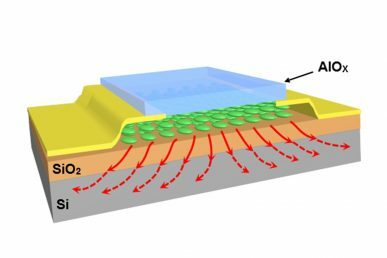 Engineers at the University of Illinois developed a way to reduce overheating in nanoelectronics that incorporate 2D components by adding another layer to the structure. “In the field of nanoelectronics, the poor heat dissipation of 2D materials has been a bottleneck to fully realizing their potential in enabling the manufacture of ever-smaller electronics while maintaining functionality,” said Amin Salehi-Khojin, associate professor of mechanical and industrial engineering at UIC. One of the reasons 2D materials can’t efficiently transfer heat to silicon is that the bonds between the 2D materials and silicon substrate in components like transistors are rather weak, leading to hot spots and potential device failure. 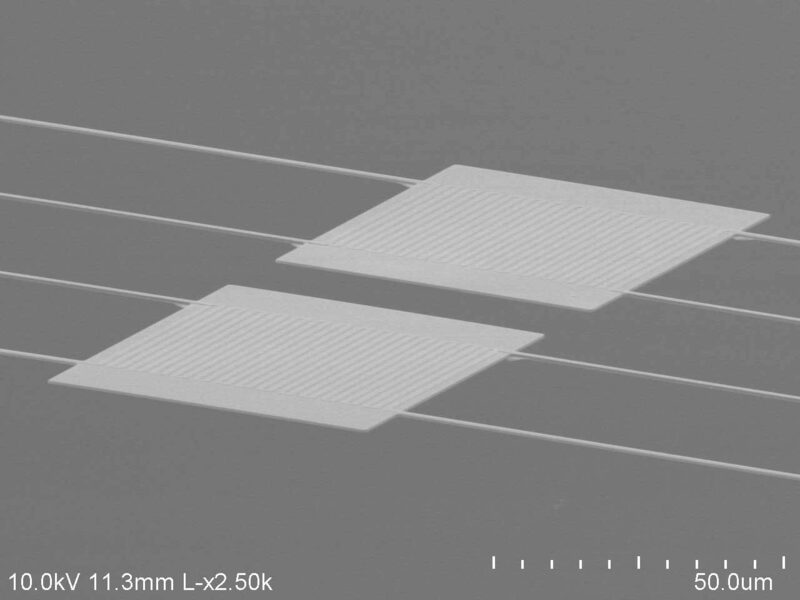 In order to enhance the connection between the 2D material and the silicon base to improve heat conductance away from the 2D material into the silicon, the team experimented with adding an additional ultra-thin layer of material on top of the 2D layer. The team’s experimental transistor used silicon oxide for the base, carbide for the 2D material and aluminum oxide for the encapsulating material. At room temperature, the researchers saw that the conductance of heat from the carbide to the silicon base was twice as high with the addition of the aluminum oxide layer versus without it. Next, the researchers plan to test different encapsulating layers in an attempt to further improve heat transfer. Researchers at the University of Michigan and the College of William and Mary found an unusual aspect of heat transfer between nanoscale objects that allows as much as 100 times more heat than predicted by the standard radiation theory to flow between them. Previously, the team found that heat can travel 10,000 times faster than expected between objects separated by nanoscale gaps–smaller than the dominant wavelength of the radiation–but at larger separations, that mechanism wouldn’t be in play. In this work, they noted that this effect happens even at bigger-than-nanoscale distances. The researchers fabricated matched pairs of semiconductor plates similar in shape to a credit card. The thickness of the rectangular plates was anywhere between 10,000 nanometers to 270 nanometers. Ordinarily, heat would radiate from each of the six sides in proportion to the surface area. But the team found that when the structures were extremely thin–at the thinnest, about half the wavelength of green light–those edges released and absorbed much more heat than anticipated. After detailed computer modeling, the team confirmed that the 100-fold enhancement in heat flow occurs because of the way that waves move in the very thin plates. Since the waves run parallel to the plate’s longer dimensions, the heat shoots out the edges. In the identical plate absorbing the energy, the same concept was at work. The researchers see a range of possibilities for this effect. “You could potentially control heat in new ways because we have identified the mechanism of heat transfer,” said Pramod Reddy, U-M professor of mechanical engineering. Examples proposed by the team include controlling the flow of heat in a way similar to how electronics manage electrons, making heat transistors for next-generation computers and diodes. Others include materials that behave like one-way valves for heat flow, allowing future building materials to let heat out during cool summer nights but keep it in during the winter, or solar cells could harness the portion of the sun’s spectrum that isn’t converted to electricity for other purposes. Reddy noted that a heat-based computing device would be slower and larger than an electronic version, but he believes it might be preferable in certain situations, such as high-temperature environments where conventional electronics are damaged. Researchers from the Ulsan National Institute of Science and Technology (UNIST) and the Agency for Science, Technology and Research (A*Star) developed a coating that could prevent dendrite buildup in lithium metal batteries. Dendrites, metal structures that form during charging and discharging of batteries, degrade a battery’s performance and can cause short circuits. While lithium metal batteries boast about 10 times more capacity than conventional graphite anodes, dendrite formation has been a major challenge. 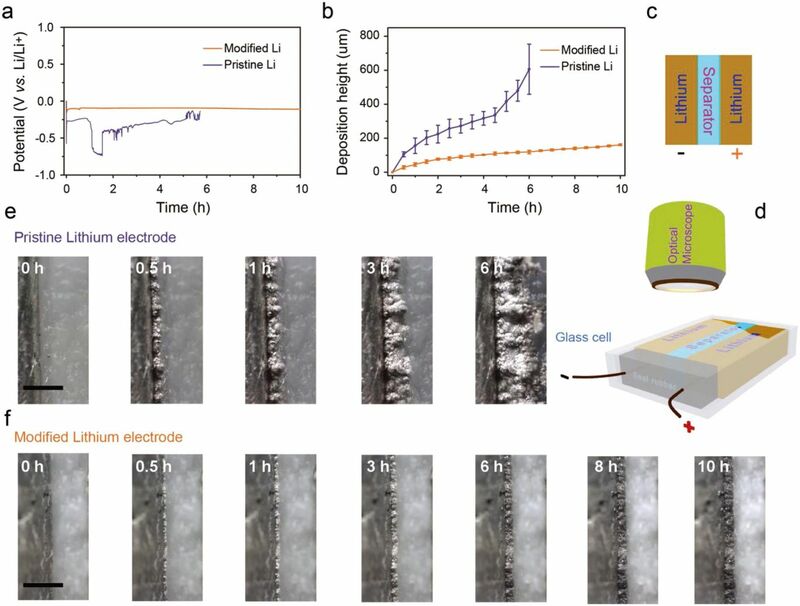 By coating the lithium foil with a lithium silicide (LixSi) layer, the team found that dendrite growth in a lithium metal anode was suppressed, providing excellent electrochemical performance in terms of rate capability and cycle stability. The researchers say the anode enrichment method is compatible with mass production and could offer a practical way to enable lithium metal anodes for next‐generation lithium batteries.